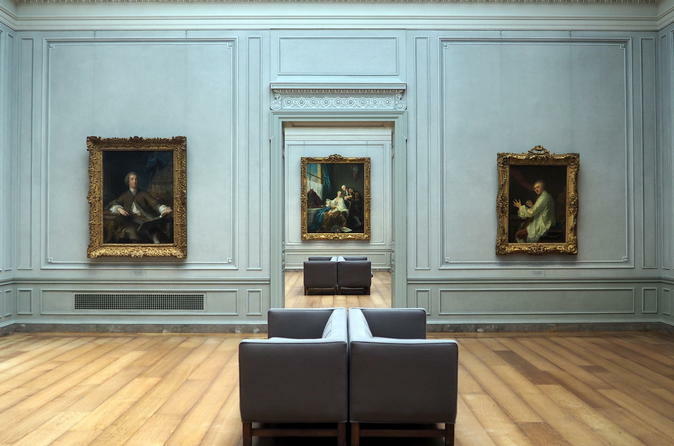 Join this 2 to 2.5 hour private tour through the National Gallery of Art, one of the premier art collections in the country. Our expert guides will put the museum in context as well as detail some of the gallery’s most famous pieces. Both art lovers and the casual visitor will be able to appreciate this tour. Enter the National Gallery of Art and follow your guide through one of America’s best collections of artwork produced by Renaissance artists, French Impressionists, and great American painters. See works from Claude Monet, Raphael, Gilbert Stuart, and Edgar Degas, as well as more modern artists like Picasso, Pollock, Warhol, and O’Keefe, as you learn what’s really behind the creation of some of these pieces. Your private guide will lead the way through the halls of the museum, telling stories, and stopping at famous works of art. Some pieces you’ll see on this tour include “Ginevra de’Benci” by Leonardo da Vinci, “Self Portrait” by Vincent Van Gogh, and “Woman with a Parasol” by Claude Monet. Listen as your guide fills you in on the techniques behind some of the paintings, as well as some of the history and scandals that happened because of them. You’ll also learn about the museum’s building which took just 100 years to transition from a nearly hollow building to the home of the US’s best art collections.